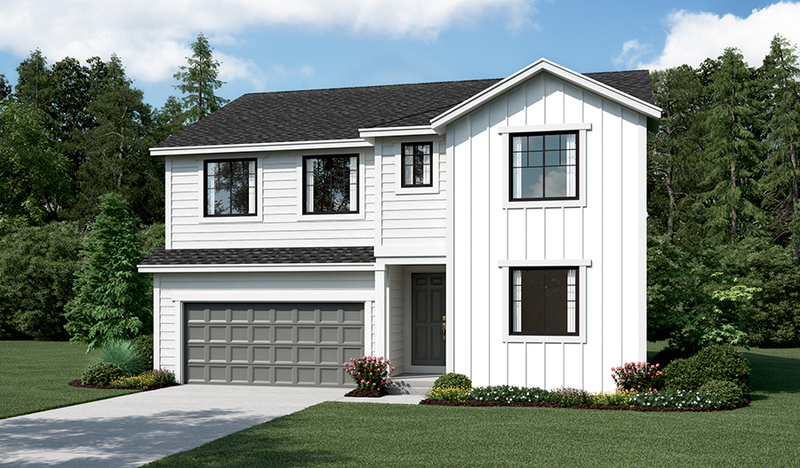 On the main floor of this new home, you'll find a private study, a convenient powder room and a spacious great room, complete with fireplace. Other highlights include a formal dining room and a gourmet kitchen featuring a center island, walk-in pantry and stainless-steel appliances. Upstairs, enjoy a convenient laundry, a large loft and an elegant master suite with a walk-in closet and spa bath with separate shower and soaking tub with ceramic tile surrounds. Includes a relaxing covered patio!